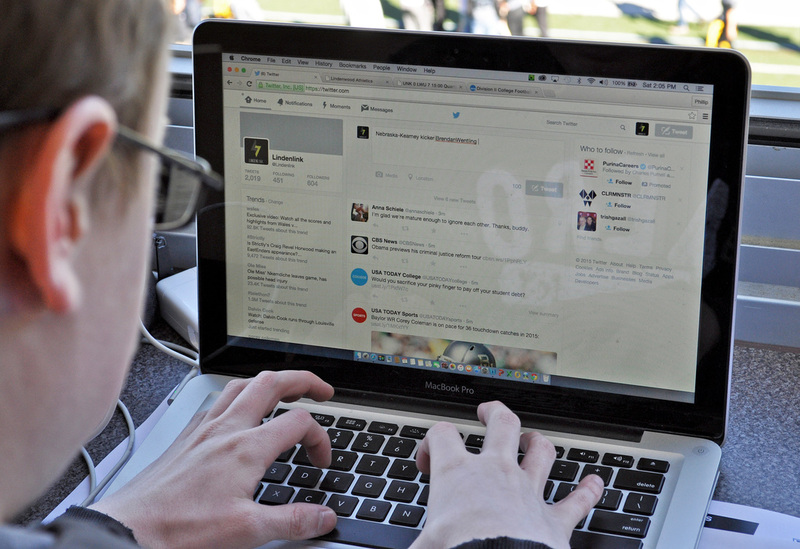 A Lindenwood University student reporter updates a student publication Twitter account while in the press box of Lindenwood's stadium. I use a Twitter feed, called @journostuff, to provide helpful or interesting information for journalism students and others in the journalism education community. The link to my feed is at the top of this page and it's here.